The wife of the late Israeli astronaut Ilan Ramon, who perished in the “Columbia” space shuttle explosion in 2003, died in December after a long battle with cancer. 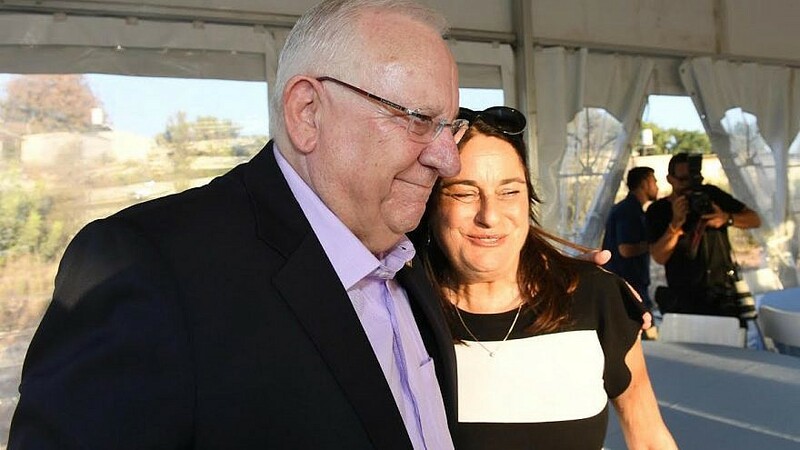 Israeli President Reuven Rivlin with Rona Ramon, the wife of the late Ilan Ramon, who died in the 2003 “Columbia” space shuttle explosion. She died in December 2018 after a long battle with cancer. Credit: Haim Zach/GPO. (April 3, 2019 / JNS) Rona Ramon will be posthumously awarded the Israel Prize, the country’s highest cultural honor, announced Education Minister Naftali Bennett on Tuesday. Ramon, the wife of the late Israeli astronaut Ilan Ramon, who perished in the Columbia space shuttle explosion in 2003, died in December after a long battle with cancer. Born in Kiryat Ono in 1964, she served as a paramedic in the Israel Defense Forces’ Paratroopers Brigade. She married Ilan at the age of 22, six months after they met at a birthday party. She studied physical education and worked as a sports instructor, and was also an activist who advocated for education and the advancement of Israeli youth. Ramon’s husband was also part in the bombing of Iraq’s Osirak nuclear reactor in 1981. Their eldest child, Capt. Asaf Ramon, an IAF pilot, lost his life in a training accident nine years ago. A brand-new airport in Eilat was named for them both. “Our mother was able to take a life which was painful and turn it to a life-long mission that gives other people hope,” said her children—Yiftah, Noa and Tal—in a press release.